2-Way Radio Communication Headsets for Use With External Radios facilitate safe 2-way radio communications in high-noise environments, and each headset includes both a microphone and an input jack to connect with your current 2-way radio (proper adapter cables are generally required and sold separately.) 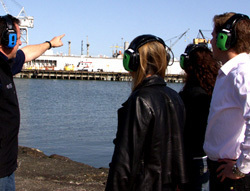 These high noise headsets are the ideal solution for very loud environments in which members of a team of two or more need to maintain communications beyond face-to-face (normal speech) range, and still have continuous protection from hazardous environmental noise. 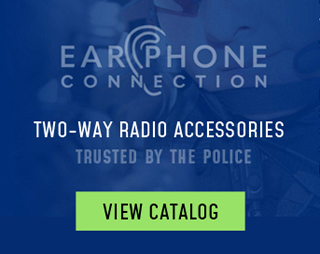 Two-way radio communications headsets are a necessity in police and military work, as well as in many construction, industrial maintenance, and other settings. Note that all of these headsets require you to have your own separate, external 2-way radio. For electronic communication ear muffs with built-in 2-way radio capabilities (no external radio required), please see our 2-Way Communication Ear Muffs with Built-In Radio. (NRR 22) Opsmen Earmor M32 Tactical Electronic Communications Ear Muffs are modeled after the Peltor ComTac headsets for military use. Features: Boom mic, NEXUS TP-120 downlead, rugged waterproof construction, dual mics for situational awareness, volume amplification, OSHA-compliant internal volume limiting, automatic noise compression, boom mic, fixed downlead to connect to PTT adapter attached to 2-way radio. (NRR 21) ComTac electronic tactical ear muffs were created for the most demanding military communications challenges. Now available in third and fourth generation models, ComTac headsets are available to military, police, and civilian shooting enthusiasts as well. (NRR 25) 3M Peltor MT Series High Noise Two-Way Radio Headsets are designed for use in the most demanding industrial and commercial high-noise environments. Whether you need a comm headset that will perform in your high noise environment in manufacturing, processing, heavy equipment operations, aboard ship, in or around aircraft, logging operations, and even in explosive environments such as milling, mining, energy extraction and processing, Peltor MT Series headsets offers the solution you need.